Daria Kondova was born and raised in Sofia, Bulgaria. Trained as a classical actress, she is excited about venturing into the magical world of puppets. 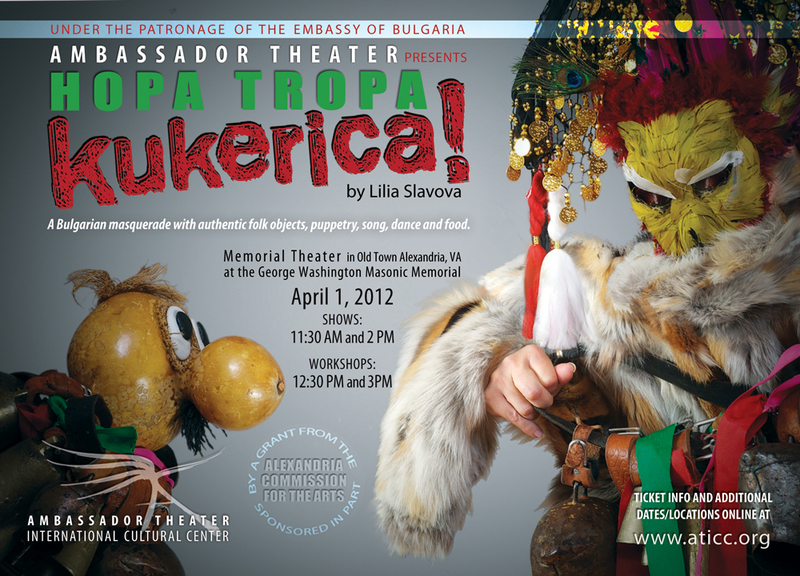 She welcomes everyone to experience the power of Bulgarian songs and dances. Enjoy the show. 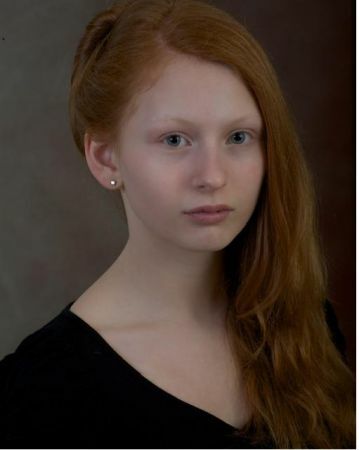 Gwen, 13, has appeared in Synetic Theater’s student production of The Snow Queen, Kai, and Synetic’s teen productions of Midsummer Night’s Dream, Puck, and Romeo and Juliet, ensemble. She has six years of modern dance and one year of voice. 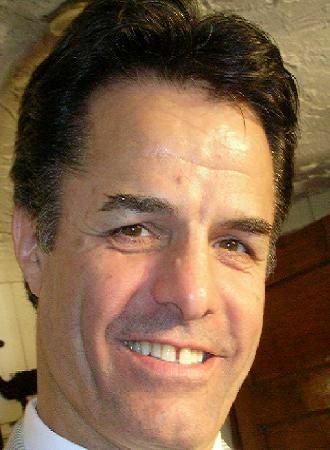 Konstantin Hadjipanzov was born in Sofia, Bulgaria. He graduated from the University for Theater and Film Art “Krastyu Saravof”. 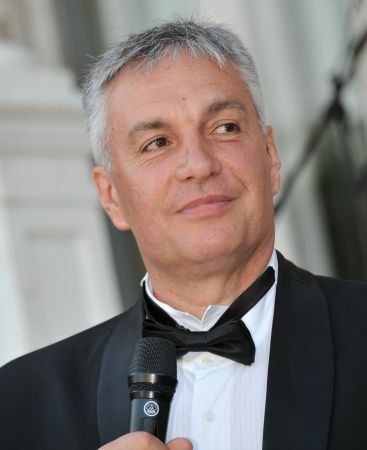 Prior to achieving his acting degree, he worked as an assistance producer at “Boyana” Production Studios. He’s performed in more than 30 theater plays, many musicals and movies as part of Bulgarian, American, Spanish and German casts. He also worked as a radio program host at Express Radio and co-host of a morning TV show. 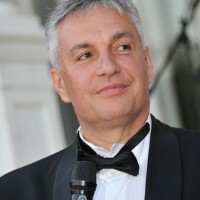 During the democratic changes in Bulgaria, Konstantin gets actively involved with politics and takes on a position as a deputy to the chief secretary of the State Ministry Assembly. Later he’s appointed to a diplomatic position with the State Department. 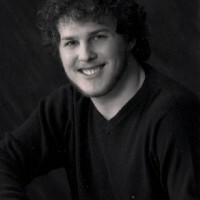 Up until he moved to the United State, Konstantin was a movie and TV show producer. Ivan Dimitrov, Choreographer, Graduated from the Bulgarian Music and Dance Academy Plovdiv Founder of the International Folk Dance Festival –Plovdiv Ivan brought a new vision of word music and dance with his experience Well known in the world of Dance he produced and performed around the world . 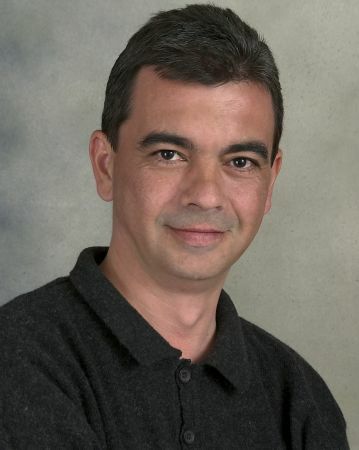 Petko Kolev (Author, Music Composer and Musical Director): A professional musician and composer performing in Europe and the U.S. for the last 30 years. 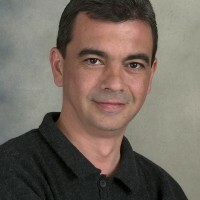 Prior to moving to the U.S. in 1997, Mr. Kolev spent many years touring and performing live with well-known Bulgarian bands. 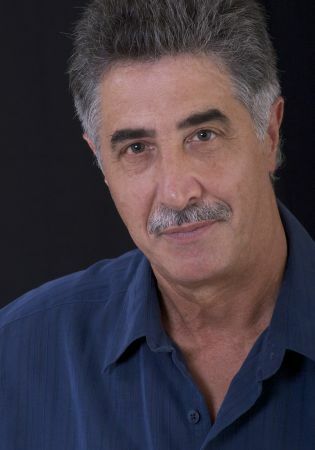 He also has extensive experience in composing original classical, rock and contemporary songs for adults and children, providing choral arrangements, studio recording, and scoring for live theater, documentary films, cartoons and videos. 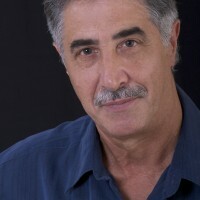 Since 2005, he has collaborated with Classika Theater, providing original music, sound effects and musical direction for works such as “The Nutcracker,” "Wondrous White Winter," "Three Little Pigs" and “Little Red Ridinghood.” In 2008, Mr. Kolev made his writing debut at Classika Theater as Author of the children's story "The Lost Sock", which was adapted into a puppet show by Lillia Slavova. 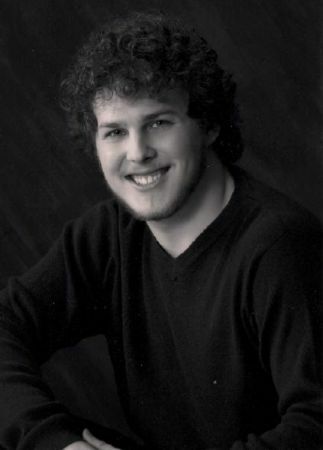 Mr. Kolev composed the original music and lyrics for the play, "The Lost Sock", and provided musical direction. 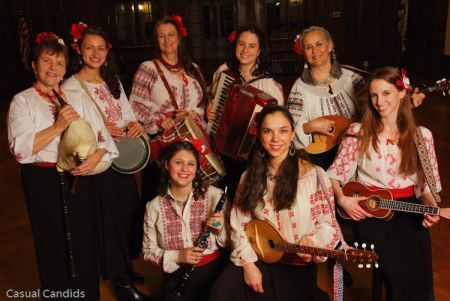 Photo credit: Edwin Remsberg Founded in late 2006 by internationally-acclaimed Bulgarian singer, director, and composer Tatiana Sarbinska, Orfeia Vocal Ensemble celebrates the rich and varied folk music traditions of Bulgaria and the Balkans. Orfeia presents an authentic Balkan sound in its cultural context through performances and workshops for adults and children. Orfeia takes its name and inspiration from the ancient Thracian myth of Orpheus, a symbol musical journeys and musical storytelling. From the timeless motifs of village life to the sacred and spiritual, from the medieval to modern-day adaptations, the musical traditions of the Balkans come to life for audiences through Orfeia’s exciting and unique musical repertoire. 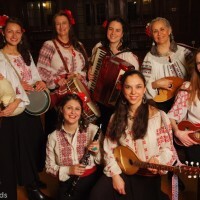 Orfeia made its debut in October of 2007 in Bulgaria as part of Music Without Borders, a concert of traditional music featuring Tatiana Sarbinska and a roster of all-star traditional musicians. 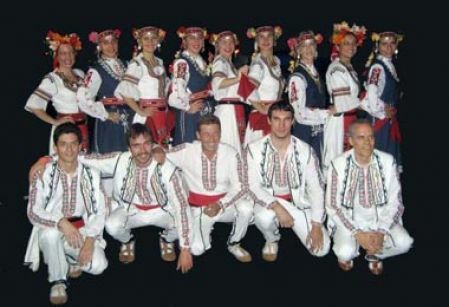 Orfeia also performed in Blagoevgrad, Bulgaria with the Pirin Ensemble, one of Bulgaria’s premiere national folk companies, and performed by invitation at the first national competition for traditional Bulgarian compositions in Chepelare, Bulgaria. Orfeia has been featured on the Slavi Show, Bulgaria’s popular late-night television program. 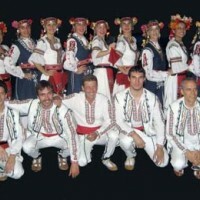 In 2010, Orfeia performed at the 10th National Festival of Bulgarian Folklore in Koprivshtitsa, followed by a two week tour and performances throughout Bulgaria. Orfeia returned to Bulgaria in 2011 for performances in Sofia and Chepelare. Since its inception, Orfeia has performed and conducted workshops throughout the D.C. and Maryland area. Based in Montgomery County, Maryland, Orfeia has been the recipient of grants from the Maryland State Arts Council and the Arts and Humanities Council of Montgomery County (AHCMC). Orfeia is currently recording a CD of songs in the Sephardic/Ladino tradition at Airshow recording studio in Takoma Park, made possible through support from AHCMC. Members of Orfeia are Sarah Allard, Natalia Blinkova, Courtney Deines-Jones, Carlendra Frank, Lily Hamburger, Heather Livingston, Diane Weinroth, and Elin Zurbrigg. 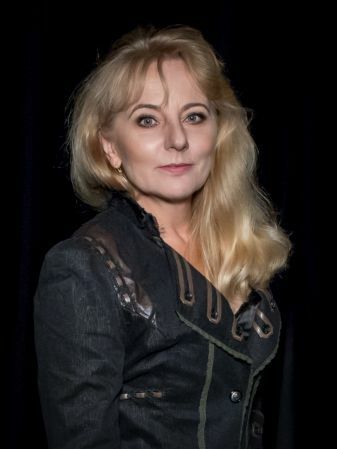 Tatiana Sarbinska is the Artistic Director. Orfeia is a 501(c)(3) tax-exempt organization. 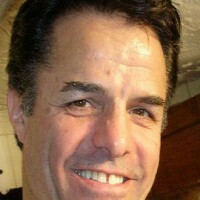 Visit Orfeia on Facebook and at www.orfeia.org. With more than forty years of musical experience as a performer, director, teacher, and composer in both the United States and in her native country of Bulgaria, Tatiana Sarbinska is a Bulgarian national treasure. Ms. Sarbinska has dedicated herself to sharing her extraordinary talent and her deep love and encyclopedic knowledge of Bulgarian traditional music and culture in both her native Bulgaria and throughout the United States. 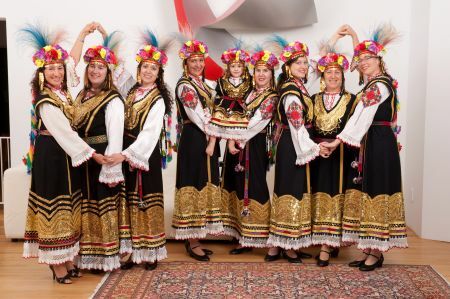 Ms. Sarbinska has developed her own artistic interpretations of the traditional musical heritage from her native Pirin region as well as the styles from each of Bulgaria’s distinct folkloric regions. 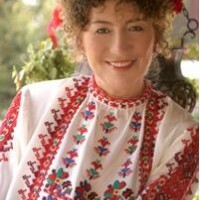 In addition to her unmatched expertise in Bulgaria traditional music and vocal technique, Ms. Sarbinska has studied and performed traditional music from throughout Eastern Europe, including Byzantine chant, Slavonic liturgical music, Ladino, Arabic, Bosnian, Croatian, Serbian, Russian, and Ukrainian music. Her extraordinary vocal range, technique and flexibility are joined with a magnetic stage presence that moves with ease from playful to passionate. 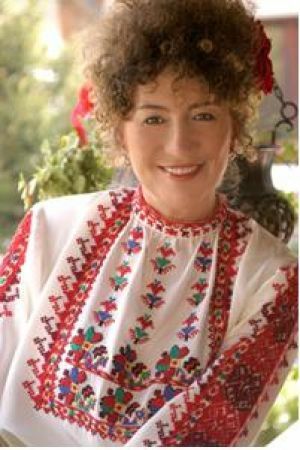 Ms. Sarbinska grew up singing traditional Bulgarian music in the Macedonian village of Rila, near the Pirin Mountains in southwestern Bulgaria. She received her degree in Traditional Folk Music at Academy of Music and Choreographic Art in Plovdiv, Bulgaria. For many years she was the featured soloist, as well as a conductor, of the internationally-acclaimed Pirin Ensemble, touring extensively throughout Europe and the Middle East, Northern Africa, Asia and the United States. She was Assistant Professor of Music at the Conservatory for the Academy of Music and Choreographic Art in Plovdiv, Bulgaria, and Professor of Music for Western University in Blagoevgrad, Bulgaria. She was also the Director of Education for the School of Art in Blagoevgrad, developing and directing curriculum for 2500 students. In the United States, Ms. Sarbinska has been an Artist-In-Residence for the Mayor’s Office of Art and Humanities, Boston, Massachusetts, teaching in the Boston Public Schools. She has taught at, among other venues, the Boston Conservatory, Boston University, Northeastern University-Boston, the New England Conservatory of Music, the Mendecino Balkan Music and Dance Camp, and the Augusta Heritage Center, and she has been a consultant for Revels, the renowned international music company. Ms. Sarbinska has performed throughout the United States, including at the Kennedy Center and the Library of Congress. 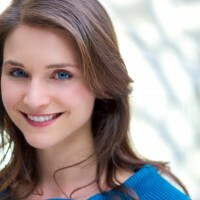 She performed in the American Conservatory Theatre’s production of Hecuba with Olympia Dukakis. In 2004, Ms. Sarbinska was the music director for the University of Maryland production of Euripides’ The Trojan Women. In 2004, she received a WAMMY (Washington Area Music Award) for best world vocalist and has received individual and master artist awards from the Maryland State Arts Council. In 2006, Ms. Sarbinska was awarded the Ivan Vasov Medal by the government of Bulgaria for her contributions to Bulgarian culture. In 2010, she was awarded first prize in the International Competition for Composition in 7/8 in Plovdiv, Bulgaria. Her most recent CDs are Makedonsko Devojče and Katerino Mome. Ms. Sarbinska’s mastery of Eastern European music and technique is matched by her ability to teach that music and technique to others, from beginner to professional. 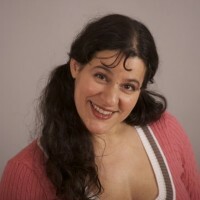 For many years, Ms Sarbinska has organized and conducted individual and group lessons and workshops in Eastern European vocal technique, classical and traditional vocal technique, and vocal jazz improvisation using Balkan musical themes. She has coached and directed world and classical music ensembles in Eastern European vocal production, repertoire, rhythm, pronunciation, styling, and cultural meaning and context. Ms. Sarbinska has worked with Libana (Boston, Massachusetts), Kitka (Berkeley, California), West Wind, (San Francisco, California), Village Harmony (Montpelier, Vermont), Boston Secession (Boston, Massachusetts), Women in Harmony (Portland, Maine), Planina (Denver, Colorado), Zdravec (Boston, Massachusetts), Born to Drone (San Jose, California), and Slaveya (Washington, DC). 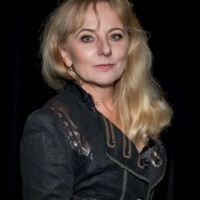 She is the founder and director of the vocal groups Divi Zheni, Zornitsa, and Orfeia and under her direction and tutelage, these groups have performed at concerts, folk festivals and workshops throughout the country as well as abroad. Ms. Sarbinska is a composer of original songs and music based on Bulgarian traditional themes. One of her compositions, Katerino Mome, continues to be one of the most popular and recognized songs in Bulgaria. She has also created countless arrangements of Bulgarian and Eastern European traditional and neo-traditional music. was born in a city surrounded by beautiful mountains and situated in a valley under a sleeping volcano in a very unique ethnographic region, where people dance and talk fast and have very fiery personalities. Desi’s extensive choreographic experience and material embodies a vast array of ethnographic regions of Bulgaria, such as Shope, Macedonian, Thracian, Rhodope, Dobrudja, Varna, Vlachija, Northern Bulgaria. 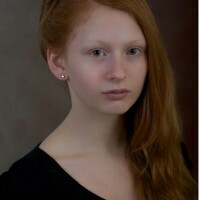 She has choreographed Russian and Bulgarian dances for PIFT, Bulgarian dances for MBNECC, Junior Duquesne Tamburitzans, Slavjane, Balkantzi, and other groups in Pittsburgh. She has also conducted multiple Bulgarian folk dance workshops in Pennsylvania. 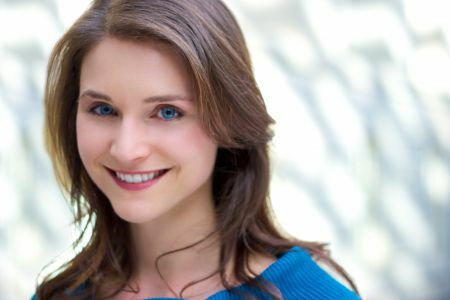 For 8 years, Desi taught Russian dance, song and culture at the University of Pittsburgh, as part of the Russian and East European Studies intensive Russian language and culture training for graduate and undergraduate students. Finally, she has participated as a judge-panelist for Duquesne University Tamburitzan’s auditions 2 years in a row. 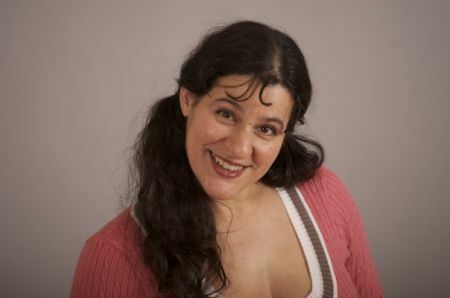 Since she moved to the Washington, DC area in 2004, Desi continued to add more dance forms to her vast dance portfolio and extended her training in Flamenco, which she started in 2003 in Centro Flamenco de Pittsburgh. In 2005 she also joined a ballroom training group with master instructors to master the Latin Ballroom dances and potentially participate at various dance competitions. Desi believes that "That, which does not kill us, makes us stronger" a concept she learned the hard way from very dear friends in her past. She lives by the principle that "Everything happens for a reason and everything is in a constant state of flux. Embrace the change, learn the lessons sent to you, be grateful for the opportunity to grow, keep positive energy and attitude, give love to all living species and always smile". Life should be fun.